We don’t need to tell you that good nutrition and diet control helps you achieve your fitness goals. Anyone who is highly focused on diet and fitness will tell you how much weekly meal preparation has changed their lives. It makes eating the right things so much easier and removes the temptation of reaching for anything from the fridge. Pick a day of the week you plan to dedicate to food prep. It may not need to be a full 12-hour slog but you will need a good four or five hours to fully prepare for a week. Meal Prep Sunday is a standard choice in the fitness community as it is a generally quiet time of the week. Use this time to get together your full weeks’ worth of meals and ensure you are ready for the next week. Don’t even chop a single onion before you are clear on your numbers. By numbers, we’re talking about both the number of meals you plan to prep and also the macros you have in mind for each meal. Macronutrient counting simply means breaking down your meals into fat, carb and protein content. Have your macros planned based on how many grams of carbs you want per meal and also the same for protein and fat. Once you have these numbers planned you can map them to your recipes. Not everyone counts macros but it’s a particularly useful method for meal preppers. 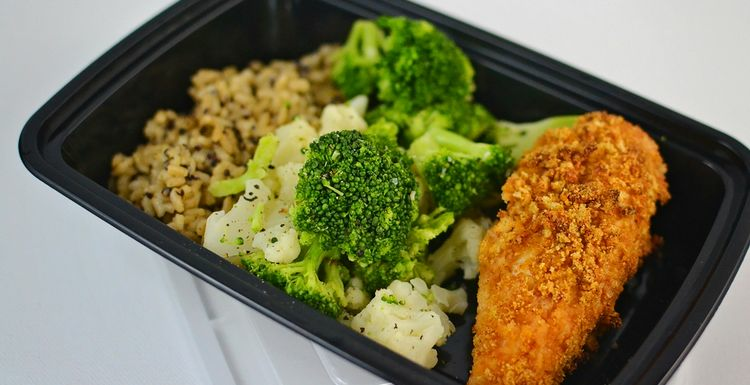 Save your chef skills for fresh meals and keep it simple when it comes to your prep. Decadence is all well and good but it won’t be as enjoyable if it’s reheated or kept in a plastic tub. Ensure your meal prep includes a good source of protein such as chicken breast, lean mince, pork tenderloin, steak or turkey. It should also include carbs in your chosen form from oats, wholegrain tortillas and breads, rice or couscous. Finally, it should also include healthy fats such as coconut or olive oil and nuts and seeds such as almonds, walnuts and pumpkin seeds. Meal preparation can be simple and no struggle at all if you are organised. Making sure you know what you’re doing before you start helps a great deal and ensures you have a good range of meals you can enjoy and be comfortable eating, knowing they’re delivering the right macro balance for your needs. 'batch cooking' as it is known to my mum! She has a giant cauldron saucepan and always has a stock of home-made chilli, bolognese and chicken dishes in her equally large freezer. This means she only cooks once or twice a week but still gets good home-made food.